There are a lot of choices when it comes to car stereo speaker systems. There are some great companies that make some great products. And one of the best manufacturers are German Maestro. 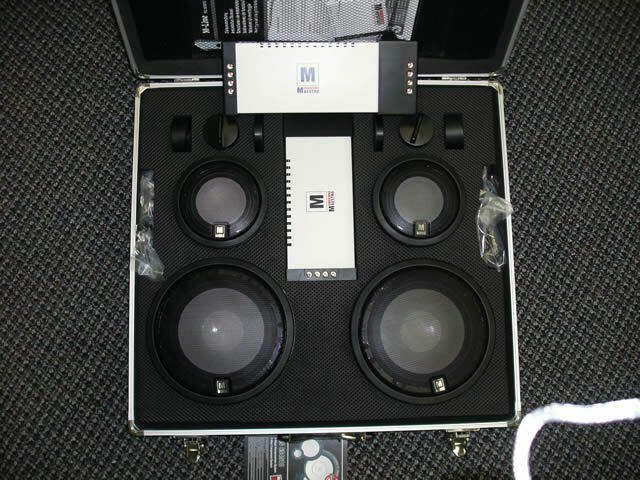 Up for review today is their M-Line 654010 3-way component speaker system. For those of you who have been fans of car audio for years may know the name MB Quart. They used to be one of the best car audio manufacturers, until they sold to Maxxsonics. Manufacturing was then shipped overseas to cut costs. But not to be stopped, the old management was able to find funding and German Maestro was created. Much of what was MB Quart...the German plant, most of management, and their key employees, are now German Maestro. 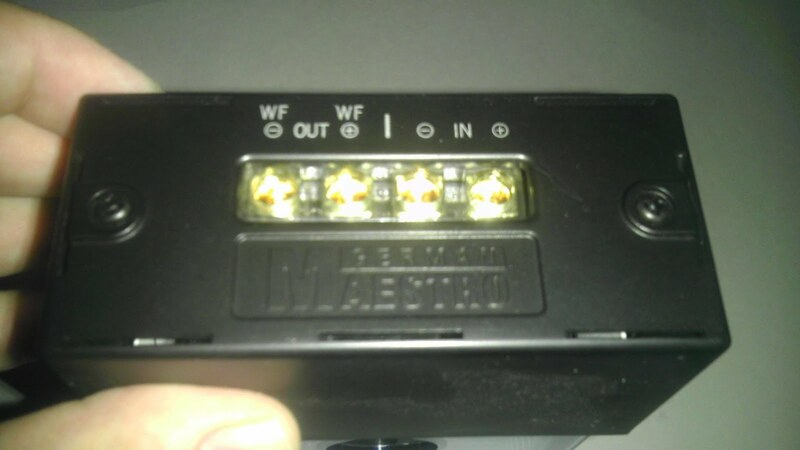 We recently reviewed their MS6508, which is a 2-way system in their M-line. Today we are reviewing their MS 654010 and MS 654010 Active, their top of the line series. And their 3-ways are the best of the best. Using their top technologies, such as Ultrasphere with the tweeters and nano technology on all of their drivers, the performance is impressive. I prefer 3-way systems. Not only do they tend to be more dynamic, it is also easier on the drivers themselves. Having a dedicated midrange helps so the tweeter does not have to play down lower then it maybe should, and it also takes some of the duties away from the midbass, so it can focus just as a midbass. Not only is the sound improved, but if you push your speakers it can also help extend their life span. -Power Handling: 90 W RMS / 295 W Max. -Tweeters based on exclusive UltraSphere™-Technology with inverted two-piece titanium dome and extremely powerful neodymium ring magnet system. Dome nano-ceramic coated. The system came well protected. And I have never seen this level of presentation. They came shipped in a hard aluminum case. The initial thought was...WOW! This is awesome!!! 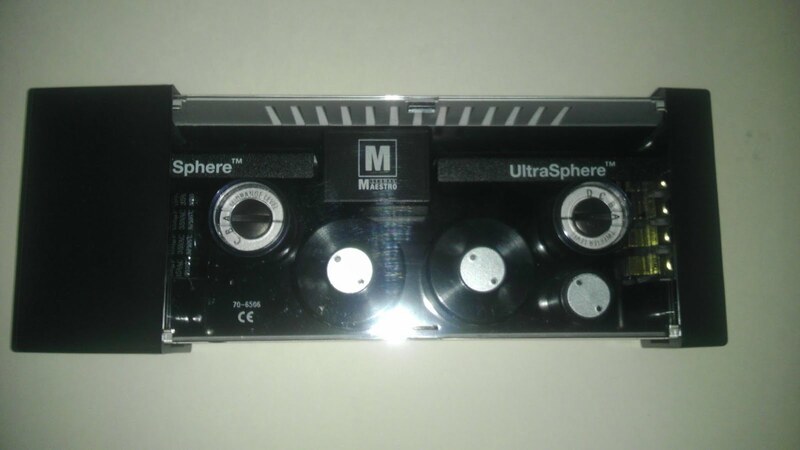 Packaging was even better then the MS 6508s. Opening up the aluminum case revealed the tweeters, mid, midbass drivers and crossovers, each with their own cutout space for it. Also included was the owners manual, install instructions, and hardware. Looking over the individual drivers revealed top quality components manufactured with the best materials. Build quality and fit & finish are excellent! The solid tweeter was shipped with a black plastic cap to further protect the tweeter surface. Removing the cap revealed the coated titanium inverted dome. It was large for a tweeter, with a powerful Neodymium magnet. This was designed to handle a lot of power, and the wiring supports it. Tweeters usually come with small 20 gauge of higher wiring. Instead, German Maestro uses a 16 gauge wire. Such a large gauge wire on a tweeter is a big statement. The back was stamped 6 ohm, and Made in Germany. Protection of the tweeter comes from either two thin bars that go across the surface, or a black mesh grill. The 4 inch midrange and 6.5 inch midbass are also very solidly built components. The mids and midbasses are shipped protected, being screwed into the surface ring and covered with the grill for protection. 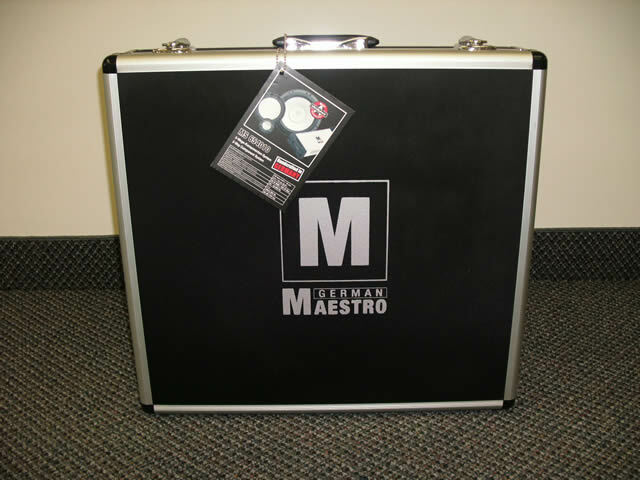 The guys at German Maestro take pride in their top of the line products, and it shows in all the little details. I wanted to have a better look at the drivers, so I took off the grill and unscrewed the driver from the surface ring. Looking at the rear, the cast aluminum basket is relativity thick and solidly built. On the back was printed 4 ohm and 90 watts power handling. It was obvious that neodymium was the material used for the magnet, as to the small size of magnet structure under the cast basket, I really like the use of neodymium. Magnets can be much smaller, giving you a shallower driver for more install options. I also liked the drivers design. The gloss black basket gave an elegant look. When it comes to installation, I like options. 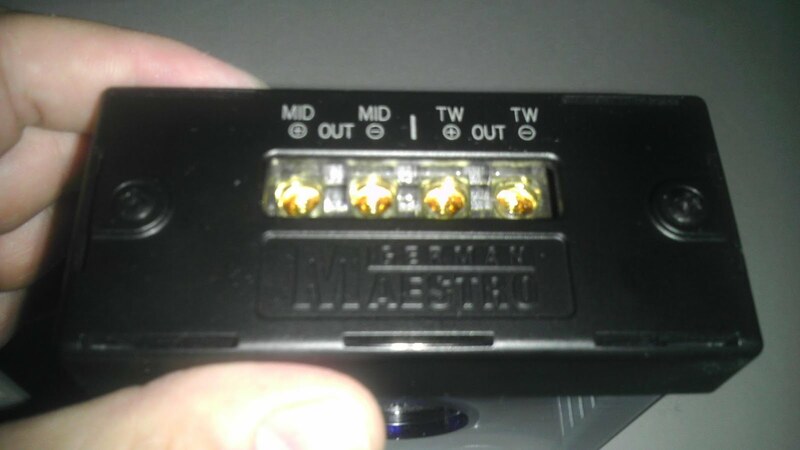 The terminals give you options, they were gold plated, and allowed for bare wire or a teamed connector. The tinsel heads were well secured at both ends, with a high quality solder at the terminals and glued at the speaker cone. The spider was also of high quality, and was well attached to the basket. The cone was a black polypropylene, as could be seen from the back. It was well coated on the front with their tan colored nano-ceramic coating, and had an excellent quality surround. There was a generous amount of adhesion applied to attach it to the basket to not only provide the good excursion, but to also handle doing so for years. The quality of the crossover network was the same as the other drivers: excellent! I liked the elegant look that carried over to it, with the light tan/off white sides to match the coating of the driver cones. The clear plastic top cover was also a nice touch. I liked being able to see into the crossover, and look at the clean beard layout, and quality components. There are 4 levels of tweeter attenuation and 3 levels for midrange. I also liked the ability to install the crossover either vertically or horizontally. Installation was included in the equation as well. The manual was well written and included pictures and diagrams. Large cutout stickers were also provided. These would be applied to the mounting surface, and then you would just cut down the line. A set of German Maestro stickers are provided to show you are a fan, which can be applied to your car windows. Performance is absolutely phenomenal. We recently reviewed their MS 6508 model, and I was taken back from their performance. The German Maestro MS 6508 sounded amazing. And the German Maestro MS 654010 takes the performance up a notch even further. The highs were a bit cleaner, the mids were fuller and smoother, and the midbass had more impact. Dynamic passages came through even more dynamic. The entire sound was improved over their 2-way system. Now enter the MS 654010 Active system, same tweeter, same midrange, and same midbass drivers. There are just no passive crossovers. You will need two additional items. The first is an active electronic crossover. The second is six channels of amplification. The tweeters, midranges, and midbasses will need their own channel of amplification. How did they sound? Wow!! I will put it this way. If any of you readers have ever upgraded from speakers powered by your receiver, to adding a dedicated amplifier, you understand the difference in sound. If you think about it...that means going from around 10 watts a channel, to say 50 watts or so per channel, depending on the rated power of your amp. The extra power really wakes up the performance of the speakers. Going to an active system is similar. You don't lose anything with using passive crossovers, and the speakers have more power, with each driver having its own amplifier channel. Junior Wells: Why are people like that. The piano was very natural sounding. Vocals had excellent timbre with texture you could really hear. The harmonica was very dynamic and smooth. Imaging was excellent! Star Wars Trilogy: The Throne Room. This is one of my favorite songs. I immediately heard the wonderfully large soundstage. The intro with the horns sounded so clean, it gave me Goosebumps! The horns had excellent resolution and pitch definition without sounding too brassy. Imaging was again excellent, and the percussion was dynamic and crisp. The flute had good air. Gershwin: Rhapsody In Blue. This song again portrayed the excellent imaging and large soundstage performance. As a musician, I love hearing all the MS 654010's amazing resolution that revealed such details as being able to hear the woodiness of the reed on the clarinet. Dynamics were excellent, with no noticeable coloration in the wonderful harmonics. Even in quiet passages with the piano, you could still hear great details and its natural tone. Puccini: Turondot - Nessun Dorma! The German Maestro MS 654010 speaker system showed off just how real and lifelike vocals can sound. Resolution and texture in the vocals were excellent! The imaging was so good, you could actually hear the subtle differences in direction as he changes directions of his singing....either center, slightly left, or slightly right. No Doubt: Hello Good. What can I say....the song title says it all. After all, that's just how the MS 654010 system sounded! They were very dynamic, with smooth and natural sounding vocals. The midbass drivers provided tight bass and good low end extension. The mids and highs were stunning! Michael Jackson: Don't Stop Til You Get Enough. Resolution was again amazing. All of the instruments could be heard with great details. I heard details I had never heard before in the song. The percussion was dynamic and crisp. The trumpets were so clean!! 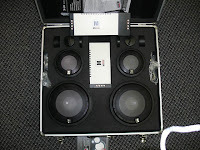 With the German Maestro MS 654010 3-way speaker system, they sound so amazingly good, I will never get enough! Take a bow German Maestro!!! The best analogy I can think of in rating the sound and overall design, quality, and performance is diamonds. But think about it. When it comes to color, colorless is the best. And the highest colorless rating is a D. No A, B, or C. If the German Maestro MS 654010 were diamonds, I would give them a D color rating. They are not perfect, and there may be better......but I have not heard a better speaker system. Period! If you are looking for the best of the best, the German Maestro MS 654010 is it. And if you want the even more improved sound of an active system, the MS 654010 Active is it. While the MS 654010 Active is not yet available in the US, the MS 654010 can be used in an active system. You would just not use the included passive crossovers. At an MSRP of $2,500, the MS 654010 3-way component system is not cheap. But you do get what you pay for. The quality and attention to detail is #1. And the synergy it yields in the aural bliss they provide will have you hearing your music like you have never heard it before. If there was an award above our Editors Choice Award, this model would have earned it! 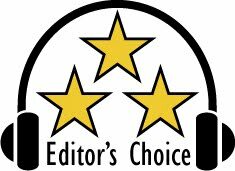 Based on their design, features, quality and performance the German Maestro MS 654010 and MS 654010 Active have easily earned our Editor's Choice Award. 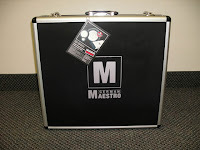 For more info and complete specs, check out their website at www.german-maestro.de. Reference gear used: Kenwood Excelon DNX-9980HD Multimedia Receiver, Alpine Type-X SPX-13PRO component system, Kicker 15" Solo-Baric L7 subwoofer, Zed Audio Leviathan III 6 channel full range Class D amplifier, JL Audio XD600/6 full range Class D 6 channel amplifier, Vibe Audio Black Death Bass 1 Class GH subwoofer amplifier, AudioControl DQSX Electronic Crossover/Equalizer.